On Monday, the parliamentary minority will meet with Georgian Interior Minister Irakli Garibashvili. 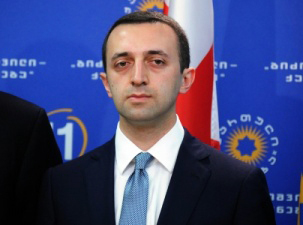 As minority leader David Darchiashvili told reporters, first of all, they are interested in the criminal situation in the country. The opposition is waiting for a response from the minister that what the Interior Ministry is doing in this regard. Darchiashvili said that violations of the law by the police officers have been recorded in recent years, and the minority wants to listen to the Minister on this matter. In addition, the personnel policy of the Interior Ministry is of great interest. One of the main topics of the meeting will be the incident that took place on February 8, 2013 in front of the National Library, as a result of which representatives of "United National Movement" party were injured.